Home In Depth Marcelo, A New Problem for Solari? Marcelo, A New Problem for Solari? One of the toughest decisions Santiago Hernán Solari had to take so far was sitting Marcelo on the bench. 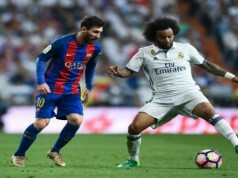 The Brazilian player has been a key footballer in the last decade for Los Blancos and probably the best left back in the history of the club, together with Roberto Carlos, but his bad moment has put him on the spot in the last weeks. Finally, the manager had the courage to replace him with Reguilón and the decision has been proven to be correct. Except for some important games in the path to conquer La Décima, Marcelo has been always the left back of the team. Then, Fabio Coentrao played some good games, especially in the defensive part, and he was even in the line-up at Lisbon, although Marcelo came in into the pitch to decide the game. 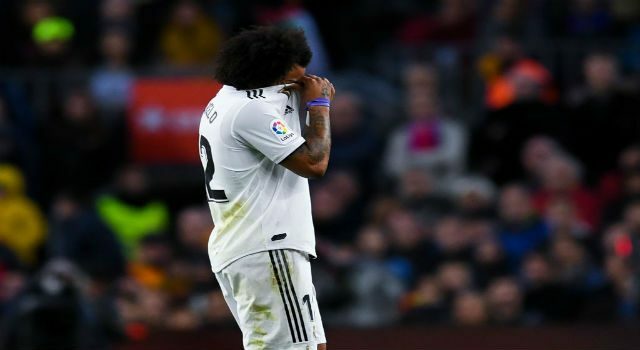 No one can doubt about Marcelo’s skills, but he’s been one of the worst footballers this season and the bench had to be his place, at least until he’s recovered. Because Solari’s job is always to get the best version of all players, including Marcelo. The Brazilian is a much better footballer than Reguilón, but right now the youngster is giving his best. He has played the last four games from the start and he hasn’t committed any mistake so far, being especially accurate against Sevilla, covering Jesús Navas in his side. In one month the decisive part of the season will start with the Champions League return. Marcelo should work on himself and be ready for the challenge because his performances, from the big mistake in the European Supercup until now, have been delusional. However, Marcelo’s case is not similar to Isco’s. The playmaker had a lack of respect with the manager, according to the journalists, whereas the Brazilian is just out of shape. Some informations report he has 8 extra kilos on him. Let’s see how Solari handles the situation. The next game will be against Girona in the first leg of the quarter-finals of Copa del Rey. 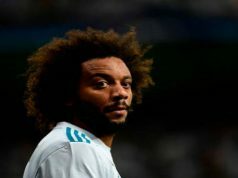 It could be a good opportunity to give Marcelo the chance to redeem himself and make a good performance so he can gain confidence for the upcoming games.